Nine to Sit Out the Finale, Five Up from Cincy · Let's Go Amerks! Today is the last game of the regular season for the Rochester Americans and it’ll be a meaningless game for them. The team traveled to Belleville following the 4-3 loss in Syracuse and while half of the team boarded the bus there were nine other players that went back to Rochester. Syracuse clinched the North Division title with the win which meant that Rochester was locked into second place. The game today does have meaning for Belleville. If they win they’re in the playoffs. The Amerks may have done Cleveland a favor. Or a group of players that haven’t played together all season can come in and play spoiler. Defensemen: Tobie Bisson (70GP – 4G+24A), Devante Stephens (69GP – 8G+17A). With Wedgewood out of the lineup and a game without meaning it’s possible that Ukko-Pekka Luukkonen could make his professional debut. 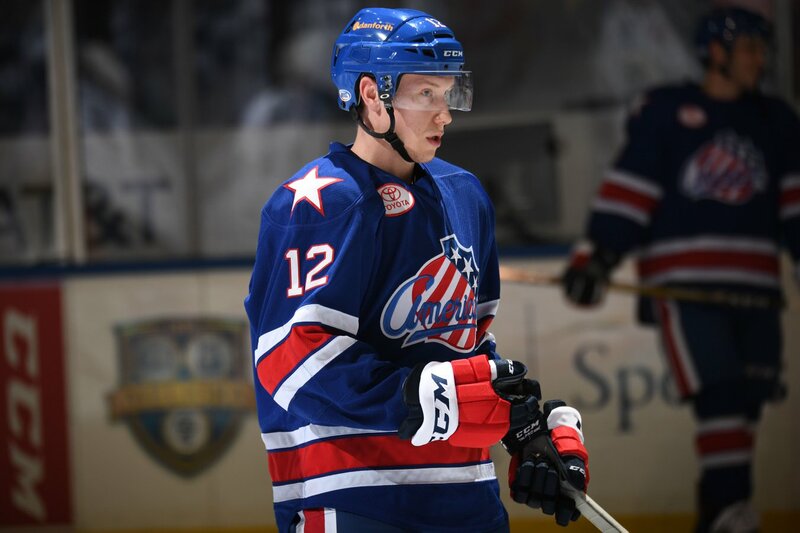 He was signed to an Amateur Tryout this week and put on the Amerks roster. Rasmus Asplund is going to miss the final regular season game as a healthy scratch which means Eric Cornel will be the only player to have played in all 76 regular season games. Victor Olofsson scored his 30th goal of the season against Syracuse to reach the 30 goal milestone. The last time the Amerks had a 30 goal scorer was the 2004/2005 season when Thomas Vanek scored 42 and Jason Pominville scored 30. Nathan Paetsch, Sean Malone, and Tyler Randell will likely round out the Sunday afternoon lineup.